If you’re looking to improve the appearance of your home, one of the best remodeling projects that you can take on is replacing the siding on your home. According to the 2016 Cost vs. Value report, investing in new siding for your home yields a 77% rate of return on your investment (ROI). Depending on the type of siding you choose, premium sidings like stone, brick, and cedar shake can increase that ROI even further. Even if you’re not looking to sell your home anytime soon, new siding can have the added benefit of improving the insulation of your home, providing valuable savings on your monthly utility bills. One of the most popular types of siding in North America is wood siding. Wood siding typically comes in a variety of styles including clapboard, lap siding, shakes, or shingles. The price of wood siding varies depending on the type of wood used. Clapboard siding which typically uses split oak, pine, or spruce can cost $5-$6 per installed square foot. Whereas cedar or pine, which are typically more durable, cost $6-$8 per installed square foot. No matter which type of wood siding you select, when properly maintained it can last up to thirty years. The cost and durability level of your wood siding goes hand-in-hand. For instance, cedar is a more expensive wood siding option because of the wood’s natural resistance to decay. Other decay resistant woods that are popular in the regions where they are produced include redwood on the west coast and cypress in the southeast and gulf coast. If you live in these areas, these woods might actually be more budget-friendly to you than to homeowners in other parts of the country because their easy accessibility and lack of need for long-haul transportation drives down the price. If the price of premium woods puts them outside of the reach of your budget, there are a wide variety of quality softwoods to choose from including pine and spruce. Just be aware that these woods are not as naturally resistant to decay so you will need to do more to maintain your siding. For instance, most suppliers of softwoods recommend back-priming and priming of cut ends, which can increase the installed cost per square foot initially, but will save you money on replacing panels due to rot over the years. Clapboard Siding: Clapboard siding is made from split oak, pine, or spruce and gives your home a warm rustic look. It ranges in price between $5-$6 per square foot. Clapboard siding can be identified by its thickly cut overlapping boards. Boards are applied like shingles to the home’s exterior with the thin side underneath the thick edge, creating a wedge. Once installed, clapboard can be left unfinished or can be stained and painted– the latter is recommended for longevity. Cedar Siding and Shakes: With its natural resistance to decay and ability to stand up to moisture, cedar siding provides superior protection against rain, wind, snow, and sleet. While the initial installation cost of cedar siding may be higher than other types of wood siding, cedar siding can save you money in the long term as you are less prone to have to replace shingles or panels due to rot. 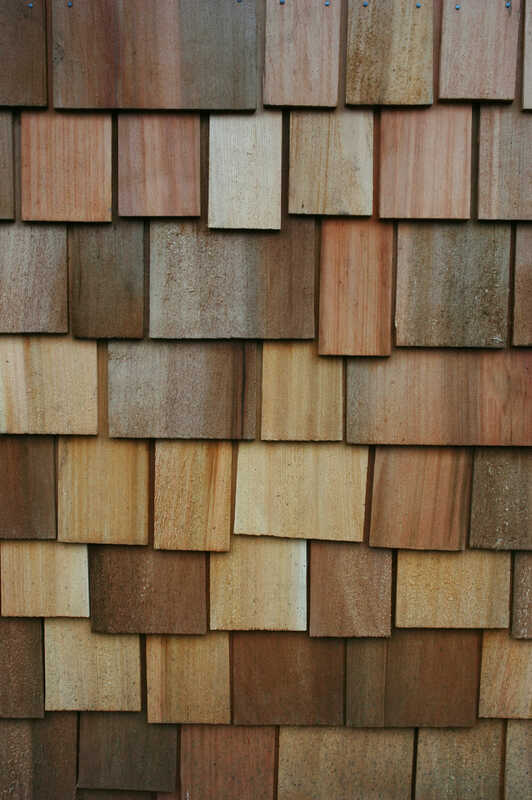 Cedar siding can be applied in the form of horizontal lap panels, traditional shingles, or shakes. For a modern look, consider choosing tongue-and-groove panels. For a rustic look, check out “board-and-batten” styles. Your cedar siding will vary in color and grain depending on where the wood originates. In terms of environmental sustainability cedar biodegrades naturally, as will most any wood you select, but cedar trees grow rapidly further decreasing your home’s environmental impact. To maintain your wood siding, you’ll want to make sure that it is treated to resist fire and termite infestation. You’ll also want to stain or paint your siding every few years. Wood expands and contracts with normal changes in humidity and temperature. These fluctuations may cause paint finishes to chip or crack and over time puts stress on caulked seams around windows, doors, and at corners. If the caulk separates and fails to keep out moisture, rot can develop. Even types of wood that have a natural resistance to rot may decay if not properly protected from the elements. A house with wood siding must be repainted at least every five years, or as soon as the paint finish begins to deteriorate. It’s also important to keep an eye out for spots that are cracked or show signs of rot to remove and replace those panels before the damage has a chance to spread. Making these relatively small financial and time investments in maintaining your siding can ensure that you enjoy attractive and durable protection from the elements for up to thirty years.